Tiffany TF 4134 B Sunglasses 8134 3B. 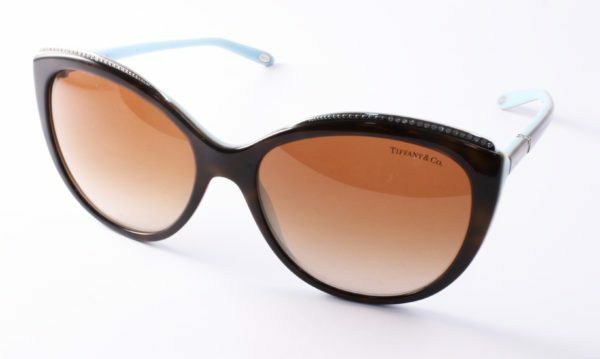 Plastic cats eye Tiffany sunglasses in Tortoise brown with Tiffany duck egg blue behind. 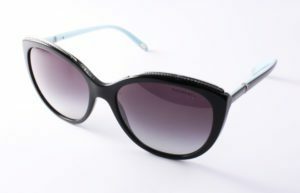 The top of the frame has an inlay metal strip with crystals. Free UK delivery. Includes hard Tiffany case and cloth.